This chic London design is perfect for an elegant London wedding at anytime of year. The format and text style combine classic with contemporary, traditional text style & formality balanced with a modern font. The skyline illustration perfectly complements the letterpress printing technique to create a unique luxury wedding invitation. 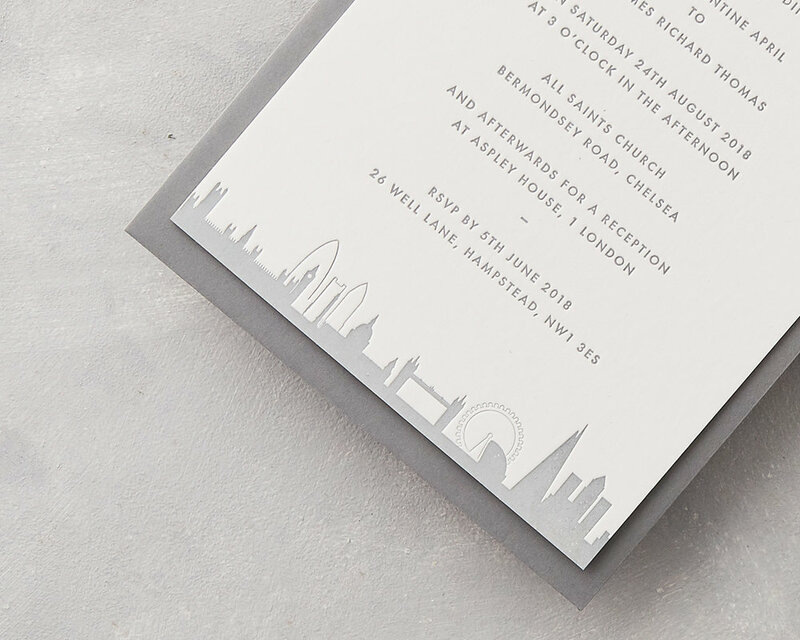 The elegant flint grey & luxurious thick 700gsm cardstock (we use for all our invitations) combine in the London Skyline design to create quality wedding invitation. 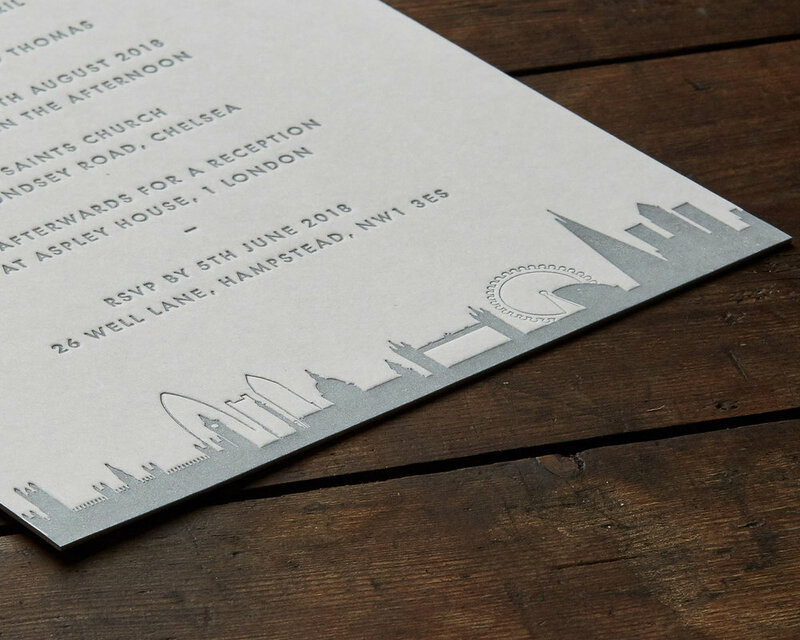 Letterpress London Skyline stationery can be created for all your wedding stationery cards: Save The Dates, Invitations, Timelines, Information, Maps, RSVP cards, Menus, Place Settings, Table Plans, Thank You cards, Favours, Games & Activities. London provides great inspiration for our design, if you are having a London wedding why not check out our Ready To Go designs: London Copper & London Taxi or look at our Designed For You.